According to a 2016 analysis of U.S. Census Bureau data, about 18 million adults in the United States are cohabitators living with an unmarried partner. People have their own reasons for cohabitating rather than getting married. Some test-drive a relationship before tying the knot; others opt to live together instead of getting married at all. Whatever the motivation, if you’re part of an unmarried couple, it’s a good idea to familiarize yourself with the ways the tax code impacts you and how you can reduce your tax burden. The tax code provides some advantages to married couples that unmarried couples don’t have, but you may be able to lower your tax bill and benefit from the following tips. Do you have children that you support jointly? The higher-earning partner may get a bigger tax break by claiming the head of household filing status and claiming the children as dependents. Keep in mind that the IRS does not allow you to claim your partner’s children as your own unless they qualify as dependents. So if a child belongs biologically or legally to only one partner, the other must provide almost all of the child’s support to claim them as a dependent. If both parents are listed on the child’s birth certificate or adoption record, either partner can claim the child as a deduction if they support the child financially. Also, you can “assign” your children as dependents to either partner as long as you’re both working and both listed as parents. This comes into play when one partner has very little income and thus doesn’t owe much in taxes — for example, if one partner is a stay-at-home parent. In other words, there’s no sense in “wasting” the tax perks when that partner would pay little tax anyway. 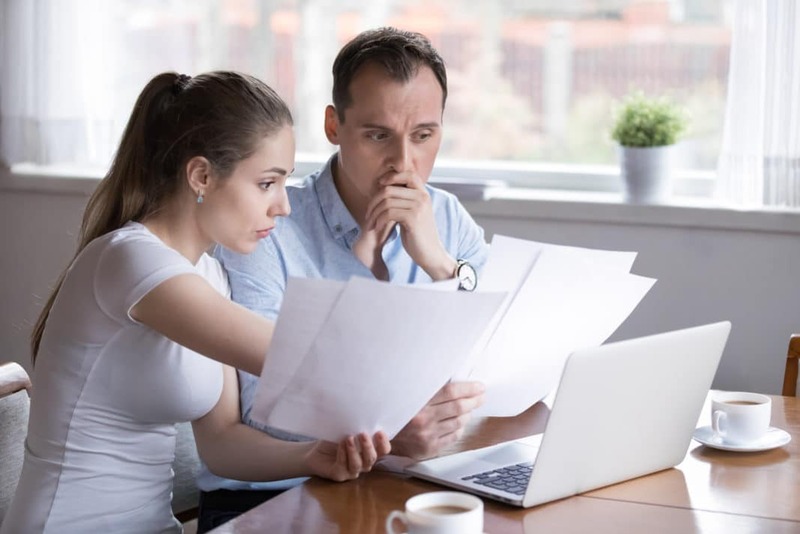 But on the flip side, because the amount of the credit goes down for taxpayers with higher adjusted gross income (AGI), it might make sense for the higher-earning partner to forgo the credit and pass it to the other parent if it results in a larger credit. Remember, you must have a child living in your home to file as head of household, and you must pay child care expenses to allow you to claim the child and dependent care credit. So if you have a stay-at-home partner and no minor children, you should both file as single. If you and your partner own a home together, are both listed on the mortgage, and both pay money toward it, you can choose whether to split the mortgage interest deduction or allocate it to the partner listed as the primary borrower on the mortgage. Keep in mind that the IRS expects the partner whose Social Security number appears on the Form 1098 sent by the mortgage company to deduct mortgage interest. If the other partner claims the mortgage interest deduction or a portion of it, expect to get a letter from the IRS questioning the deduction. You may have to respond to the IRS notice and send documentation supporting your deduction. If you work with a professional tax preparer, they may be able to report the interest in a way that will avoid IRS confusion. Also, keep in mind that mortgage interest is an itemized deduction. You can itemize deductions or claim the standard deduction, whichever gets you the better tax benefit. Even if you’ve itemized in the past, that may change in 2018. The Tax Cuts and Jobs Act nearly doubled the standard deduction, increasing it from $6,350 in 2017 to $12,000 in 2018 for single filers. Depending on your total itemized deductions — including things like medical expenses, mortgage interest, state and local taxes, and charitable deductions — you might both be better off claiming the standard deduction. Have you sold a home that you and your partner owned jointly? Single taxpayers are allowed to exclude up to $250,000 of gain on the sale of a primary residence from their income. For example, let’s say you and your partner bought the home in 2011 for $150,000 and sold it for $650,000 in 2018. Each partner can claim $250,000 of the $500,000 gain on sale and pay no tax on the transaction. Of course, as with any tax break, there are rules you should be aware of. To qualify for the exclusion, you must have owned the home and used it as your primary residence for at least two out of the five years before the sale. Also, you can’t take advantage of the exclusion if you excluded the gain from the sale of another home during the two years before the sale of the house. Check out Publication 523 for complete rules and limitations. Adoptive parents can claim a credit of up to $13,810 per child for adoption expenses paid, including adoption fees, court costs and attorneys fees, travel expenses, and other expenses directly related to adopting the child. The credit amount can be split between partners if you both contributed to the adoption expenses and are both listed as adoptive parents. The credit begins to phase out once your modified adjusted gross income (MAGI) reaches $207,140 in 2018. Taxpayers with MAGI above $247,140 don’t get to claim any credit at all. While married spouses are generally able to transfer retirement assets between themselves with few or no issues, more effort is usually required for unmarried couples. That makes it incredibly important to designate your partner as the beneficiary on your accounts. When someone passes away without a will or any beneficiaries listed on their retirement accounts, the assets go into probate, and it’s up to the state to determine next of kin — which rarely comes out in favor of the surviving partner. However, if you name your partner as a beneficiary on your retirement accounts, those funds skip the probate process, even if you die without a will. In any case, it’s a good idea to review the beneficiaries on all of your accounts periodically. If you named someone else years ago — for example, a former spouse, parent, or sibling — and haven’t changed your beneficiary, the person you named years ago will still receive the balance of your IRA or 401(k) if you pass away today. These are just a few considerations, and estate planning is a complex topic. If you want to have control over what happens to your assets when you pass away, contact an estate planner to discuss your particular situation. Married couples can make unlimited gifts to each other with no tax consequences, but unmarried couples with one wealthy partner and one less-affluent partner may run into gift tax issues if the wealthy partner transfers money to the other partner. It can happen even if the transfer was for household expenses that are mutually beneficial, such as groceries or home improvements. The annual gift tax exclusion is $15,000 for 2018 and 2019, which means that as long as you remain below this threshold, you won’t have to file a gift tax return to report the amount transferred. If you have a joint bank account, even bank deposits made by the higher-earning partner and withdrawn by the other partner may be considered a gift. To avoid issues, it’s better if the higher-earning partner makes the majority of mutually beneficial purchases, or at least makes the more expensive ones. Handling financial issues and dealing with tax rules can be more challenging for unmarried couples than married ones. But with a little effort, you can still take advantage of various tax breaks and avoid overpaying Uncle Sam. What have been some of your biggest challenges when it comes to dealing with finances as an unmarried couple? Would you consider tying the knot solely for legal and financial reasons?